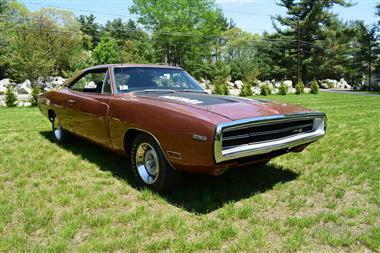 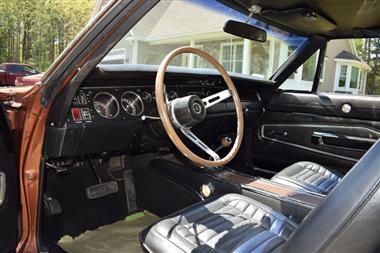 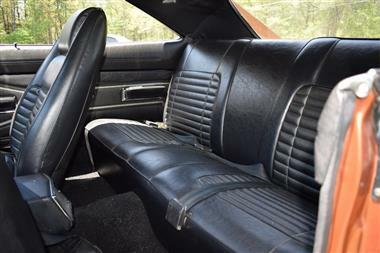 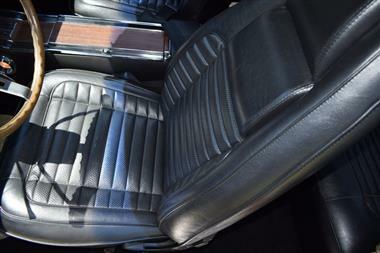 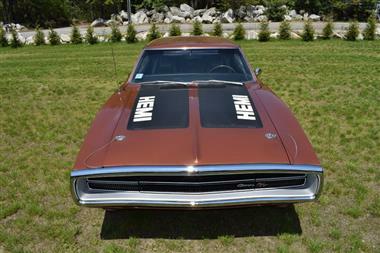 1970 Dodge Charger in Meriden, CT for sale. 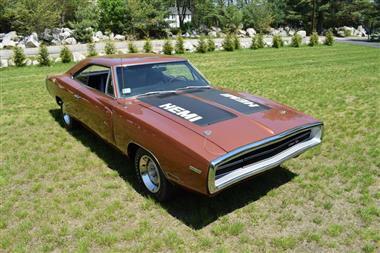 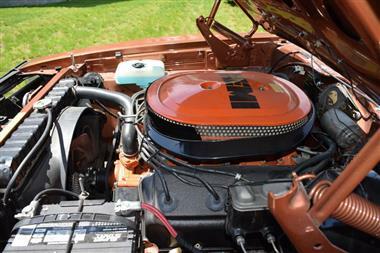 - 426 Hemi 2x4 barrel V8 425hp- Heavy Duty Automatic Transmission- Dark Burnt Orange Metallic Exterior Color- Trim - Charger, Vinyl Bucket Seats, CharcoalBlack- Black Int. 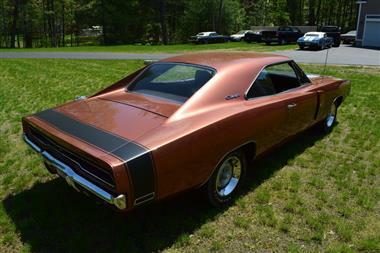 Door Frames- Dark Burnt Orange Metallic Top Color- Performance Axle Package w3.55 Ratio- Power Brakes- Console wWoodgrain Panel- Bucket Seats- 3 Speed Wipers- Hood Tie Down Pins- Roof drip rail moldings- Belt Moldings- Tachometer- Emissions Control- Radio Solid State AM (2 Watts)- Performance Hood Treatment- Longitudinal Stripes, Black- 26 inch RadiatorResearch shows that there were very few cars built with this engine and transmission configuration - in fact only 9 - and less than 10% of total production were finished in the Dark Burnt Orange Metallic paint. 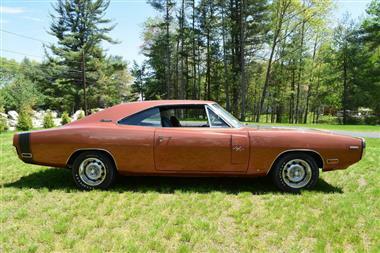 This car is the real deal, is extremely rare, is in pristine condition and is a perfect showcollector car waiting for a new home. 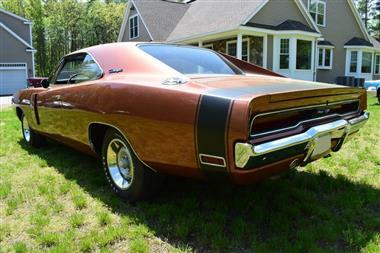 Driving this beautiful brute will make you the envy of any classic muscle car lover and if she interests you, act now as she will not last long.